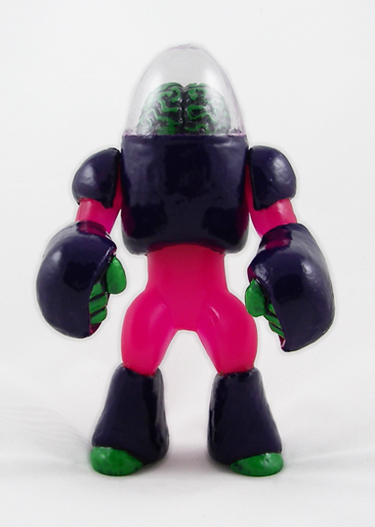 Here is an image of the final paint scheme for the Galaxxor 003 colorway. The body is a blacklight reactive magenta resin with purple and neon green hand painted detailing. The dome is a crystal clear blacklight reactive material and it houses a glow in the dark neon green brain with black paint rub detailing. More pics and official drop info coming soon, but I would expect the official release to be towards the end of February, as this figure is fairly labor intensive. Once again the edition size for this will be 5. Also, if anyone's still interested, there are 2 Galaxxor 002s in the online store with your name on them.